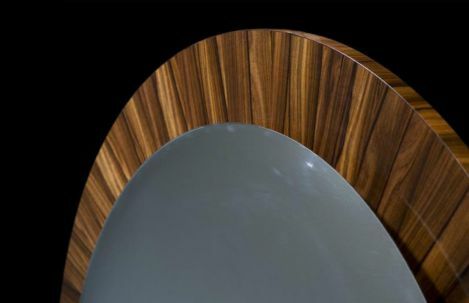 Round mirror is finished with a rosewood veneer frame. 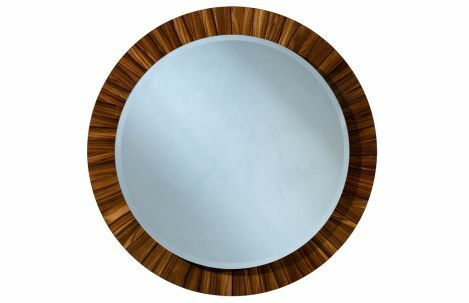 Round mirror is finished with a rosewood veneer frame. Convex mirror. Prefitted hanging wires.